Help Center - What does my Landlord see? 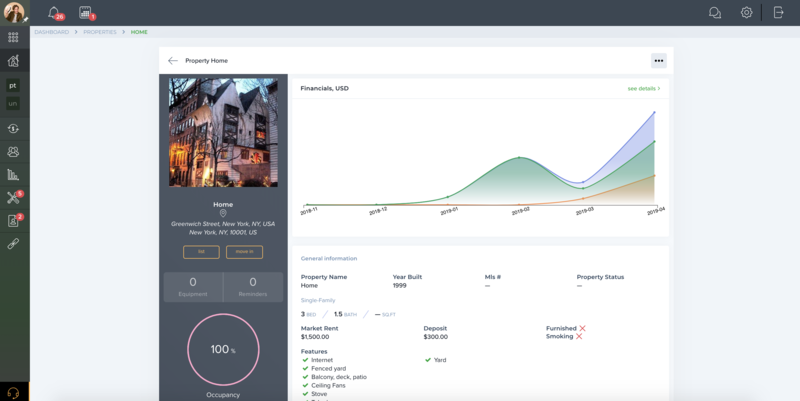 Like tenants and other TenantCloud users, landlords and property managers have their own portal within TenantCloud that helps them to manage their business and keep track of all important events regarding their property, tenants, accounting, etc. 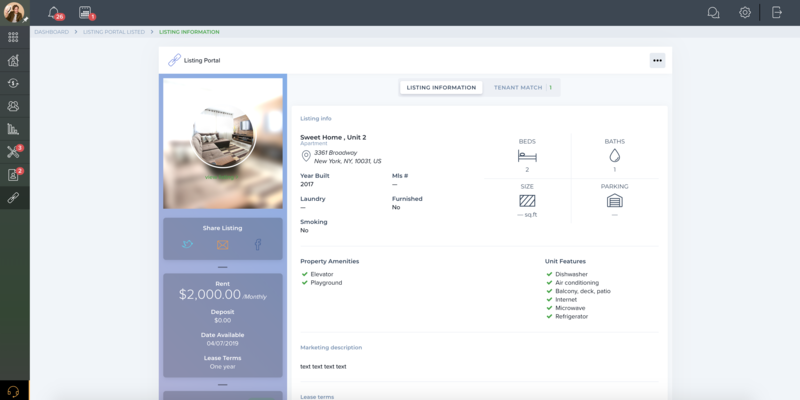 The landlord portal specifically contains a lot of useful features, most of which are directly related to tenants and their activities within the system. For a better understanding of how TenantCloud works, we recommend that tenants take a look at the TC Landlord Portal and its main features. Landlords keep all necessary information (specification, amenities, equipment, and other details) about all of their properties on the Properties page. Tenants can view this information on the My Rental page (if the landlord and tenant have a shared lease) or when using the Find a Rental feature from the Tenant Dashboard. This link might be useful for tenants: How do I view my rental? When a tenant applies for a property, the landlord can review the submitted application and Renter Profile on the Applications page of their Dashboard. 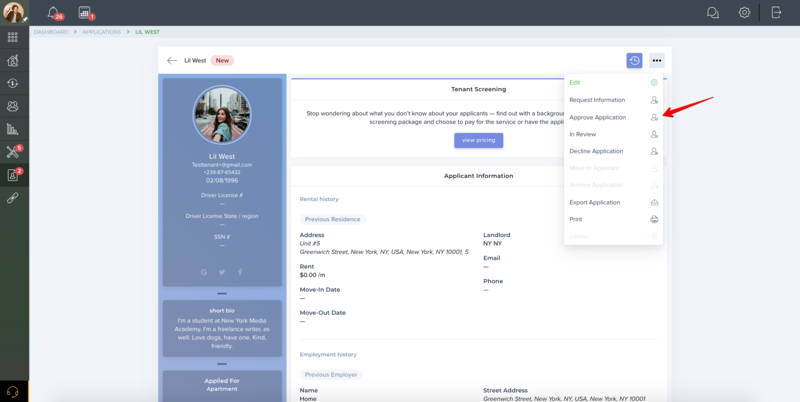 Each landlord can customize rental applications to collect any information they find necessary to make an informed decision. Because of this, application forms will often differ from one another. After reviewing an application, a landlord can request additional information from the tenant or require a fee for application processing. Landlords can choose who pays the application fee (the tenant or the landlord) and set its amount. When a decision is made, a landlord can change the status of the application to "Approved" or "Declined." Tenants will be notified about these changes via email or on the Applications page of their Dashboard. Landlords can also invite a prospective tenant to apply online. In that case, a tenant will receive an invitation via email. This link might be useful for tenants: How do I submit a rental application and pay an application fee? 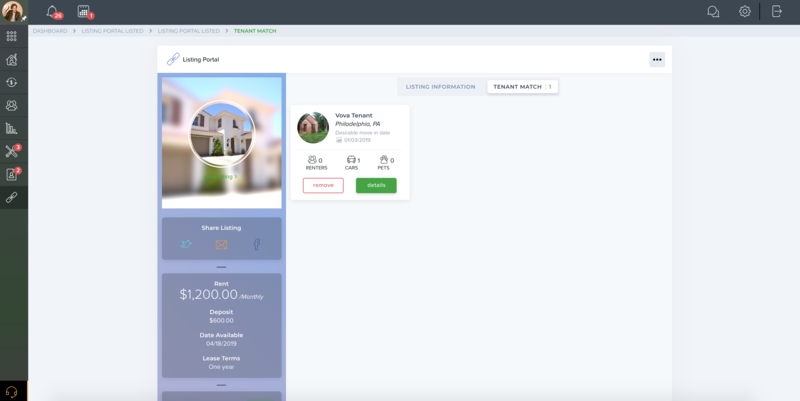 To manage invoices and online payments, add and view maintenance requests, share all important rental information, and communicate via TC Messenger, the tenant and landlord must be connected. To connect, the landlord must send a connection request to the prospective tenant. The tenant can view the request on the dashboard and accept or decline it. 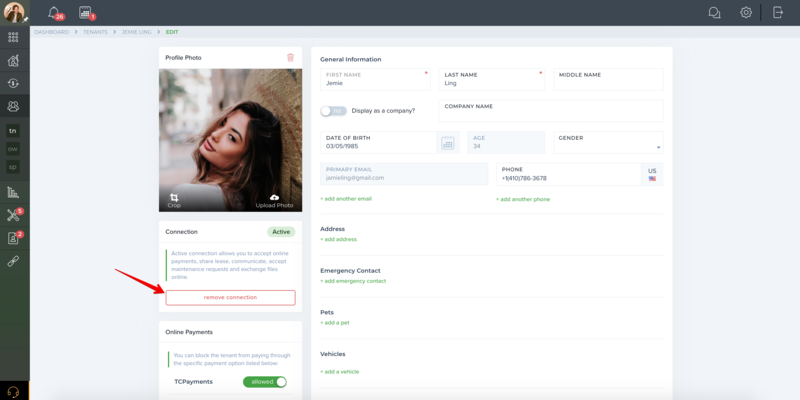 Landlords can also remove the connection or resend the request, if necessary. How do I connect with my landlord? How do I sign a lease? Once users are connected, a landlord can share with the tenant any necessary information about the property and lease conditions as well as the Lease Agreement. The landlord can also require a tenant to sign the lease. When the lease is shared and signed, the tenant and landlord will be able to keep track of all important events regarding the lease and property. Tenants can find and view this information on the My Rental page. Landlords can also view and edit lease information, if necessary. All changes will be displayed on both the landlord and tenant dashboards. This link might be useful for tenants: How do I view lease information? 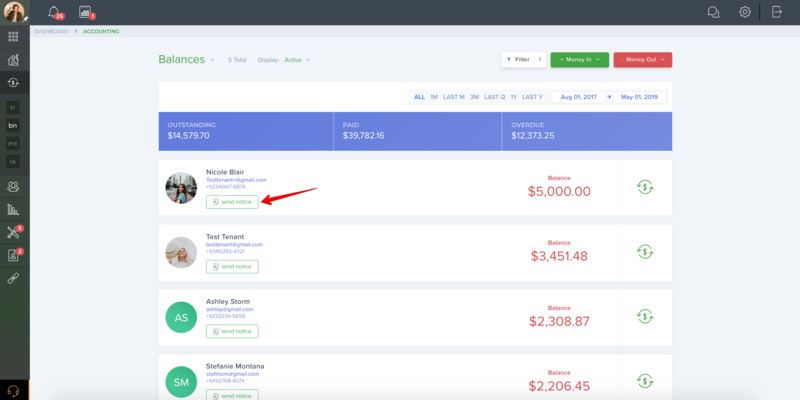 In TenantCloud, a landlord can keep track of rental accounting and a tenant's payment activity, including paid or overdue rent invoices. A landlord can also set up a grace period, partial payments, late fees, and other accounting settings, depending on their individual requirements. Once the invoice is created by the landlord, it will automatically appear in the landlord and tenant’s Accounting section marked as Open. After the payment is processed, the invoice status will change to Paid on both ends. Landlords can also check the general Outstanding Balance for each specific tenant. If there are overdue invoices and a tenant's balance is negative, the landlord can send them a notice. 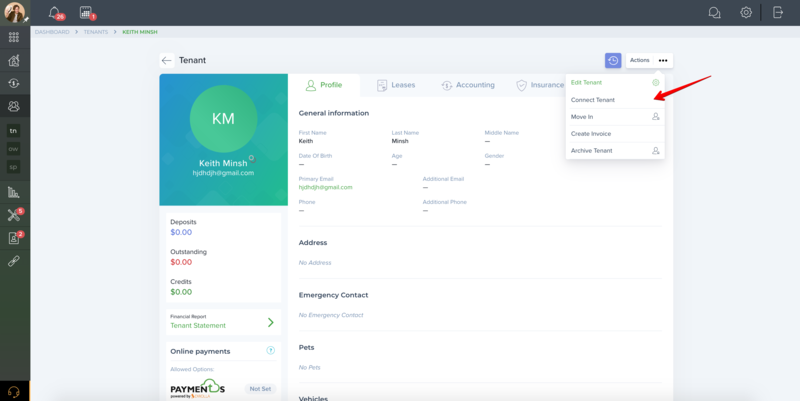 Tenants can view all required accounting info on the $ Rent page of their Dashboard. How do I pay rent online? A tenant can submit a Maintenance Request straight from their Dashboard and share it with their landlord. The landlord will be able to view this request on the Maintenance Requests page, edit and set its priority, as well as decide if they want to assign it to a ServicePro or take care of it on their own. A landlord can also change the status of a maintenance request, depending on its progress. A tenant will be able to view all changes on the Fix it page from their Dashboard. How do I submit maintenance requests to my landlord? How do I track a maintenance request? The Tenant Dashboard gives users an opportunity to find their perfect home, office, or even parking space using TC Rentals. As for landlords, they can use TC Rentals to list and promote their own properties, find prospective tenants, and share information about their company, agents, location, etc. When a property is listed by the landlord, tenants can find it using the Find a Rental feature. They can then apply online using the Applications mentioned above. This link might be useful for tenants: How do I find the most suitable rental? Tenants also have a useful "Rental Wishlist" feature where they can provide detailed information about the sort of property they would like to rent. The system compares the tenant's criteria with landlord offers and sends both of them information about matches. Tenants can find this information on the "Rental Wishlist" page, while landlords will find it displayed on the "Listings" page. How to edit Rental wishlist?